LONDON — Back in January, I was looking to name (and shame) the five worst stocks on the FTSE 100 (INDEXFTSE:UKX), when my eyes alighted on GlaxoSmithKline plc (ADR) (GSK) (NYSE:GSK). I fell on it with glee. And why not? Glaxo had been one of my most disappointing holdings. Yes, I was banking that famous dividend, but growth was in short supply. If GlaxoSmithKline plc (ADR) (GSK) (NYSE:GSK) wasn’t one of the worst stocks on the FTSE 100 (INDEXFTSE:UKX), it was certainly one of the most annoying, having done so little to justify its swollen reputation among investors. I was worried about its exposure to austerity-stricken Europe, and irritated by its arrogant decision to extend the amount of time it takes to pay suppliers from 60 days to 90 days. Most importantly, its share price had just dropped 10%. So much for its fabled defensive solidity. The drugs weren’t working. Below the line, Glaxo’s Foolish fans fought back. One user said Glaxo was cheap at the moment, and presented a good buying opportunity. 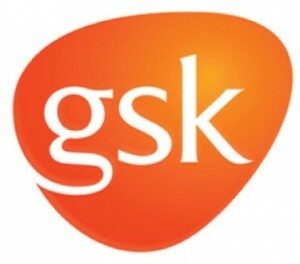 Another claimed GlaxoSmithKline plc (ADR) (GSK) (NYSE:GSK) has a future, with a decent dividend and a goodish drugs pipeline. Several noted it is one of Invesco-Perpetual dividend maestro Neil Woodford‘s top stock picks. They were wise Fools, with hindsight. At the time, Glaxo traded at 13.75 pounds. Today, it stands at 16.85 pounds, around 23% more. Yet, this growth is a bit of a mystery. Its first-quarter results, just published, were nothing special. Both sales and earnings per share fell year on year. European sales were down 3%. Quarterly profits dropped 26% to 1.6 billion pounds. Worse, last week, the OFT accused GlaxoSmithKline plc (ADR) (GSK) (NYSE:GSK) of abusing its dominant market position by paying firms to delay launching generic versions of its antidepressant treatment Seroxat, to protect its profits from the drug, a claim Glaxo denies. This isn’t the first Seroxat controversy. Last year, Glaxo was hit by a $3 billion fine in the U.S., after admitting paying medics to prescribe the drug to children, even though it wasn’t intended to be used by under 18s. I don’t feel quite so apologetic now. There was good news, as well. GlaxoSmithKline plc (ADR) (GSK) (NYSE:GSK)’s drugs pipeline is healthy-ish. It is looking to sell drinks brands Lucozade and Ribena, which could generate a slug of cash that could be put to work elsewhere. Emerging market sales are growing strongly. The dividend was hiked 6%. This leaves Glaxo yielding 4.4%, covered 1.5 times, against an average of 3.2% for the FTSE 100 as a whole. Although it was better back in January, at 5.1%.